A new, bustling community lying just below the San Tan Mountain range southeast of Chandler, Queen Creek is named for the creek that runs from the mountains to the east through the region. There are currently about 16,000 residents living in Queen Creek, enjoying all forms of housing from unique condominiums to spectacular estates and everything in between. Founded on agriculture, Queen Creek became a thriving community by 1912. There are historical sites such as the ruins of a Butterfield Stage stop and the Old Main school house in Queen Creek, which are carefully preserved as the town strives to maintain its history while experiencing expansion. 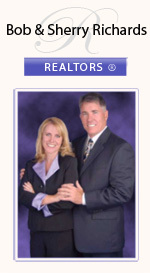 Now Queen Creek attracts its fair share of the high tech industry, and is experiencing continuous growth in housing. Close to shopping, one of Arizona’s largest shopping malls, Superstition Springs, is just 15 miles to the north of Queen Creek. Williams Gateway Airport is just 10 miles away, and Phoenix’s Sky Harbour Airport is only 30 minutes from Queen Creek. The east campus of Arizona State University is just a mile outside Queen Creek. 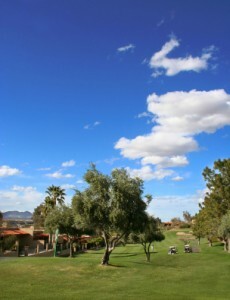 Home to four 18 hole golf courses, and with views of the San Tan Mountains, the Goldmine Mountains, and the Superstition Mountains, the sunny Arizona days mean Queen Creek residents can enjoy the outdoors year-round. The San Tan Mountain Regional Park offers open space and recreational opportunities for the residents to enjoy.